Why: To celebrate the delivery of outstanding patient experience by those involved in the health and social care industry. This year’s event saw us take over the management and operation of the entire entry submission process, as well as event management of the event. Building upon the awards growing success and popularity, we saw the highest number of original entry submissions and over 65 different projects shortlisted as finalists. We provided full registration management and check in services on the day of the event, ensuring all delegates were greeted and welcomed by a member of our team, before being signed in and receiving all the relevant information and brochure. For the first time, we even had a brand new member of the team on site to help out on registration and ensure everything was running smoothly! On the day of the awards, PENNA takes over The Rep’s entrance and mezzanine level, with each shortlisted finalist presenting their project on display boards, creating a busy and vibrant exhibitor marketplace for guests to network and enjoy. The day is split into two halves, with the first batch of category winners being announced in the morning, and the second batch in the afternoon. Following these announcements, each winner is then given a 15 minute opportunity to present their winning project and share their ideas with their peers. The audience is encouraged to split into two streams, and go and choose to watch the winner’s presentations that are most relevant to their line of work. We also heard key note speeches from Joan Saddler, Associate Director of Patients and Communities, NHS Confederation, and last year’s PENNA Overall Winner, Jimmy Endicott (@jimmyendicott), who spoke passionately about how his success at last year’s awards gave him and his team the platform that they needed to continue their project, secure further funding and expand his service, ChatHealth (@ChatHealthNHS), out to a wider, nationwide audience. PENNA 2015 was absolutely chock-a- block full of fascinating content and dedicated staff, volunteers and practioners. The day was full of good humour, music and quirky original touches that made it special for all those involved. Our client wanted to ensure that the day was wholly focused on the good work of those involved, and that everyone was made to feel honoured and recognised for the work they do. For example, on arrival, all delegates received a branded pin badge along with their conference badge and detailed event brochure, to take away with them at the end of the day. We also had wristbands printed up to add another element of uniqueness to the day. This year we also added in additional ‘fun’ award categories at the end of the day for ‘Best Tweeter’, ‘Best Networker’ and similar, who received a branded rosette that they all wore with pride. It only seemed right and proper that at the end of this day of celebration and success, we invited all delegates to a closing drinks reception. This gave all attendees a final chance to network, swap stories and connect with other like-minded professionals before they headed back to their teams with certificates and awards safely in hand! After some AV technical issues at The Rep in 2015, we were in two minds about whether or not to make a repeat booking for 2016. However, after a thorough de-brief following the initial event discussing all the problems and issues, and then a further in-depth site visit with the venue team just after Christmas, we felt we had enough reassurance to go ahead for a second year. The venue had noted the issues and problems from 2015, and used these as a springboard to make some major changes to their team, venue and way of operating, and I can honestly say we saw a huge improvement. 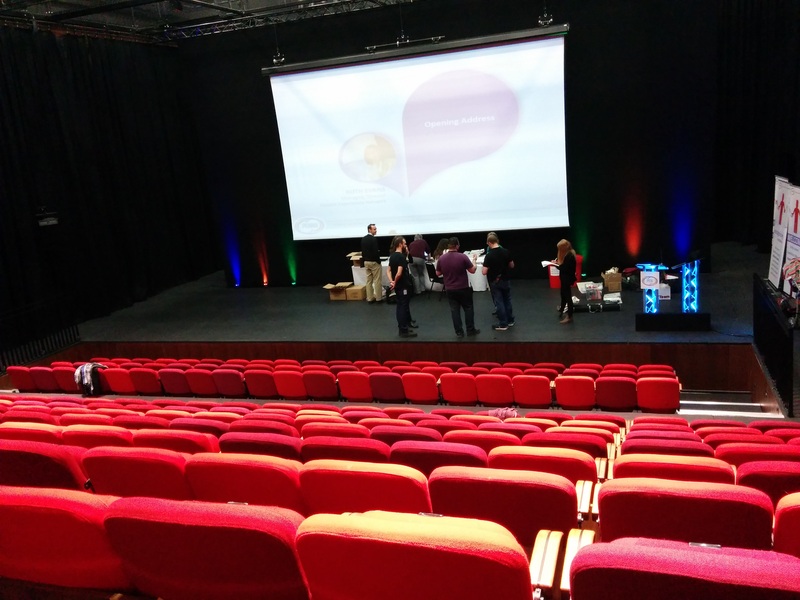 Every single person working on our event, from AV Technicians, to Venue Event Managers, to Ushers, could not have been more helpful during set up the evening prior and on the day. 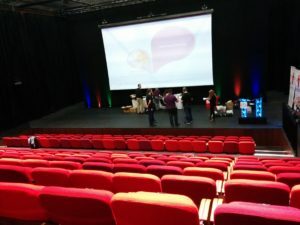 We used The Studio and The Suites for PENNA this year and the spaces worked brilliantly but there is also the larger, main theatre space available to book so the venue offers plenty of room for us to continue to grow. We were joined at PENNA by two trusted suppliers that are often key members of our extended team. Event photography was provided by the marvellous Andy Whitehead (@johnnysnapshot) who made sure every winner was captured so they can remember their winning moment! Entries for 2016 are now open!